So when I had chose my outfit the night before, I had no idea I would be wearing an outfit similar to something Ashley Olsen had worn back in 2007. So crazy!! Her outfit didn’t even cross my mind when I chose what to wear or how I’d wear it (like my shirt). I remember seeing the outfit in some magazine and how fabulous and effortless she looked. My outfit thoughts were like this…(wondering what to wear)…ok bottoms—I choose my black jeans…then what to wear on top—I chose this smock shirt that my mom doesn’t wear and I choose to tuck in for the first time because my styling with this shirt hasn’t been the best plus its really roomy so why not make it a bit more fitted hiding all that extra fabric instead of belting it like usual. I guess I was inspired somewhat by Ashley Olsen’s outfit (since it was probably stashed somewhere in my mind to recollect it somehow). However her outfit is so much better with her Wayfarers while I’m sporting my glasses. 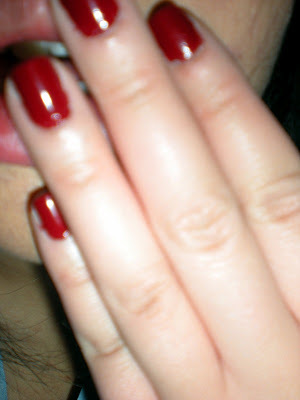 Ooh and I can’t forget about my red nails (that where the touch of red came from)!!! 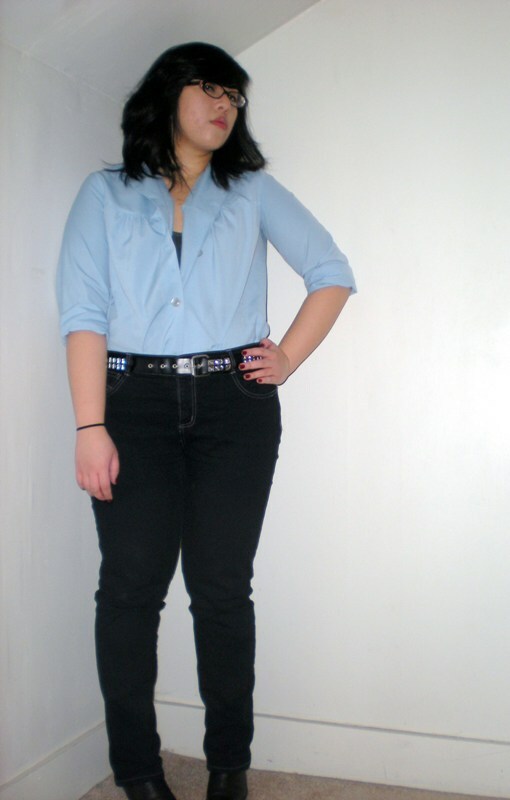 Secondhand shirt and boots, delia’s tank, Target jeans. You’re channeling Ashley almost perfectly! Minus the blonde hair though.